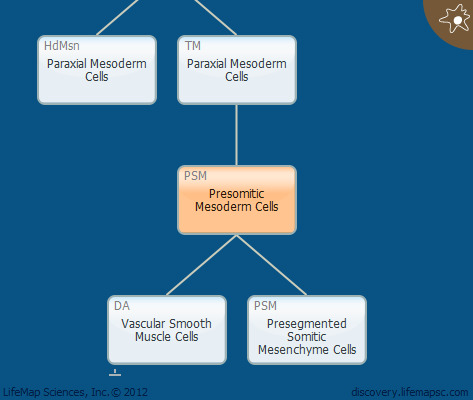 The cells of the presomitic mesoderm are subject to oscillating activity of the FGF, Notch and Wnt signaling pathways. The cyclic genes induced by FGF and Notch activity are expressed in an opposite phase to the genes induced by Wnt pathway; coordinated activity of these signaling pathways yields a maturation wavefront, also called the determination front. The wavefront enables initiation of specific gene expression which facilitates cell responsiveness to retinoic acid (RA) when allocated to the pre-segmented area. Vascular-related note: SHH induces high levels of VEGF in the somites, which, in turn, induces Notch in the adjacent dorsal aorta.